good lord finally ! I remember days when every 3rd day the news would be Bubka breaking his own record by a micrometer ! Even Isinbayeva used to that in the women's pole vault. Break it by a few millimeters every time. Every world record broken earns them a huge sum of money, could be one of the drivers. Thats what I have mentioned in my post. Not sure if that was beaten to death too. That the onus falls on NRIs when resident Indians think that the greener pastures appear more greener than they really are and whats really core to us. I guess you understood it the other way round. I guess it would be very kindergartenish to say - that indian people should explain to NRIs why India is more important than foreign land... we wouldn't be on BRF then. An American man was killed by a protected tribe in the Andaman and Nicobar Islands, the police said today. Seven fishermen who took 27-year-old John Allen Chau to North Sentinel Island, where the indigenous Sentinelese people live, have been arrested, the police said. Alex said Mr Chau had been to the Andamans several times in the last few years. The American man was also "a preacher" who apparently told Alex that he was interesting in converting the Sentinelese people, people with direct knowledge of the matter said. What a bunch of insane people, not the ones who sensed the danger from freaks to defended themselves! It is confirmed he is a missionary and was there to convert the tribespeople. THe Sentinalese are feared even by local Andamanese and who will not approach them. The tribals didn't know that he is "from America" and trying to "pray for them" etcetera. The shyt comments in phoren ka media is an indicator that conversions must be banned to also defend the fellow tribals just as well as phoren ka over-enthusiastic praying and sharing religious lovers. 'So the Sentinelese fear of outsiders is very understandable,' he said. 'Uncontacted tribes must have their lands properly protected. They're the most vulnerable peoples on the planet. Whole populations are being wiped out by violence from outsiders who steal their land and resources, and by diseases like the flu and measles to which they have no resistance. The tribals have better memory to not take chances even if someone does violate law. I think this is a big thing to quickly make amends in laws not just for tribal fellows in Andaman Nicobar alone but all vulnerable population who are also part of "the planet". Shabaash to the Sentinelese. Jai Ho! I wish our ancestors on the mainland had done the same when barbarians came in with their uncivilized desert religion. The missionary fellow was on a Tourist Visa, yet conduction missionary work. In that case, he should have applied for a Missionary Visa to India. He should have been reported, arrested and deported. There were over 8,000 Sentinelese in the mid-1800s. The British brought diseases, enslaved, and killed off others. Today there are around 150 of them. The rest of the world needs to leave them alone. In any case, the rights of the tribals is guaranteed in the Indian Constitution. Any missionary work is most likely a violation of Indian Constitution articles. Even the best brains at BBC, WAPO, NYT couldn't report the Sentinelese as Modi Bhakts. Shame. Time to shed light on their patriarchal tribal system, may be that might help. New laws can sometimes be the trigger point for further interference. Since independence the government hasnt made many efforts to get involved with bringing the tribes into the mainstream. And this has actually helped the tribes as they could practice their traditional ways and live a life they want. The British laws and interference in Andaman was the biggest disaster for the tribes, we do not want to repeat the same mistake. Besides modern humans shouldnt be deiciding whats right and wrong for tribesman, for all we know we might actually end up harming them. Best thing would be to put a buffer around them and let them flourish. Bringing them into the mainstream and under any sort of laws may not be a good idea. Agree with the point that trespassing on tribe land shouldnt just be left to the mercy of the tribes, GOI should strengthen the law to jail those who trespass as most of Andaman falls under Naval command. Who knows how many conversion programs Mr. Chau must have run on the main islands before his meeting with Jesus. 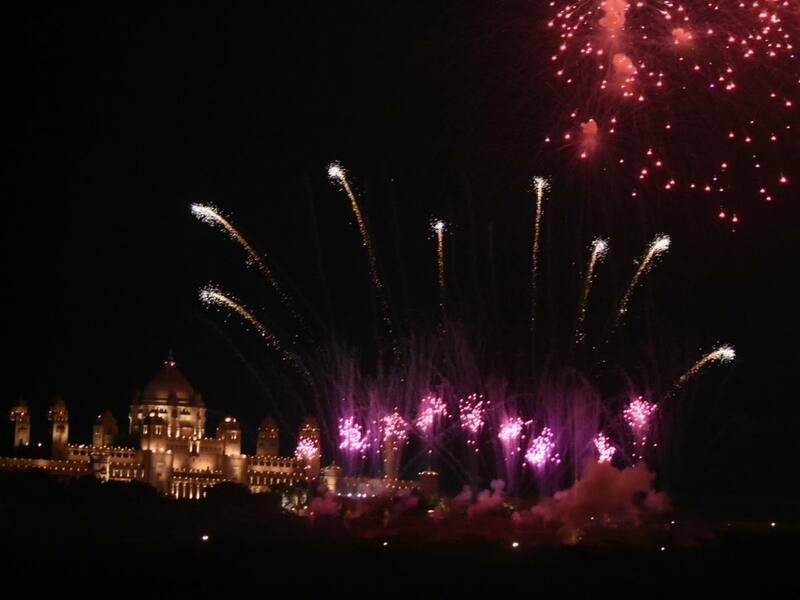 That stupid woman Priyanka Chopra was going around urging people to celebrate crackers free Deepavali...but shouldn't the same suggestion apply to their wedding? 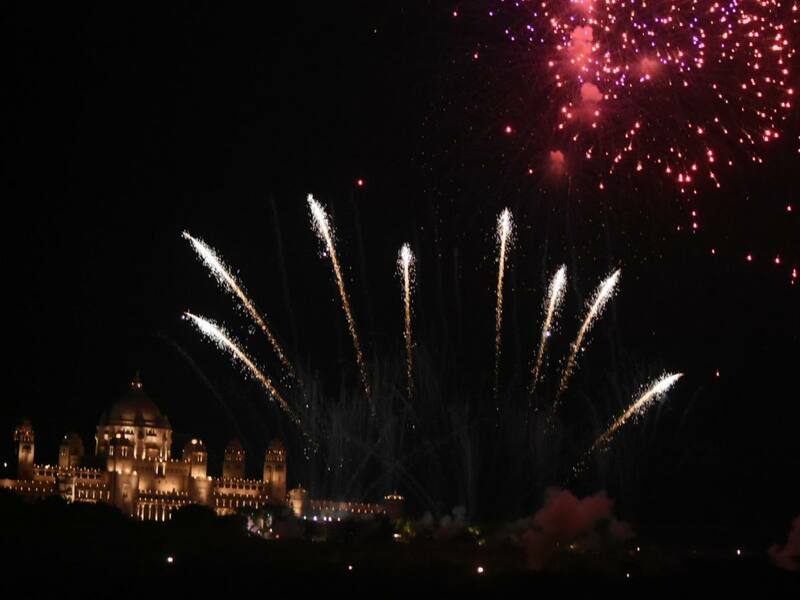 All the secular publications & news outlets have been awed by the spectacular fireworks that accompanied her wedding reception (or whatever event it was) at Jodhpur. Another bimbodude arrested in Dubai for sending obscene pic. His name is Mika brother of a hit singer. Now all he has to do is turn around and say don't burst firecrackers during Diwali to earn points; then turn out of jail and burst firecrackers to celebrate. Anyone read Nadia Murad's, joint winner of Nobel peace prize, book on her captivity. Any feedback ? - even though her sect doesn't have villains of spiritual type, the secular majority of RoP variety still call their 'religious' figures as fallen angels == satanic thereby degrading entire minorities. I received a call from some number. I picked up and no one spoke. But my caller id said 'ILLEGAL SCAM'. Humourous scam call? Last edited by saip on Fri Dec 07, 2018 11:22 pm, edited 1 time in total. That RBI message appears to be a scam/hoax message too. Nothing will happen even if you press the CANCEL button twenty times. Just curious how much left a Christian coalition, with new leader loyal to earlier one, gonna be and what does that say about European/NATO politics since Germany is prolly second most powerful NATO member. Why Indian ATMs give back your card before spitting out money? lost 25000 Rs few years back. I thought my card is not working . Took the card and left the cabin. It was a PNB branch near Akshyadham Mandir . Depends on the design of the machine. Some of the machines in the USA do that too. Some keep the card while you are doing your transaction while some spit it out immediately once they read the details and accept your pin (so that you do not leave the card in the machine). There used to be others which you just swipe in the slit while keeping the card in your hand (after the use of the chip enabled cards now I think they have been discontinued). In all cases you should read the instructions on the screen. America is serious on not messing with kids celebrating yearly holidays and socialize, with Santa friends and families. The charge I believe is trespassing. On the other hand Hindoo tribes of sentinel are violent. They don't attack without warning, don't misbehave with women, don't have plans to conquer world, keep to themselves and avoid getting killed because of low immunity. Worst kind of savages in Hindoostan.